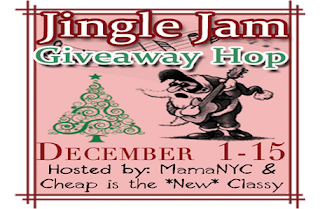 Welcome to the Jingle Jam Giveaway Hop hosted by MamaNYC and Cheap Is The *New* Classy! This event will kick off the holiday season with a bang! . Let’s get ready to jingle and jam with some amazing prizes geared towards music and just about everything else! This event will run from December 1-15th, so you will have plenty of time to enter all of our giveaways! Good luck and Happy Holidays! 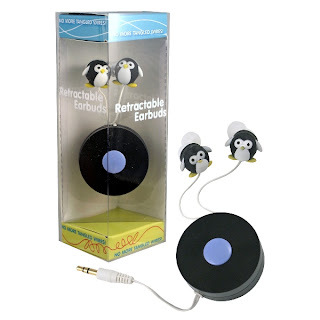 These adorable retractable Penguin earbuds with the penguin earbuds are amazing! 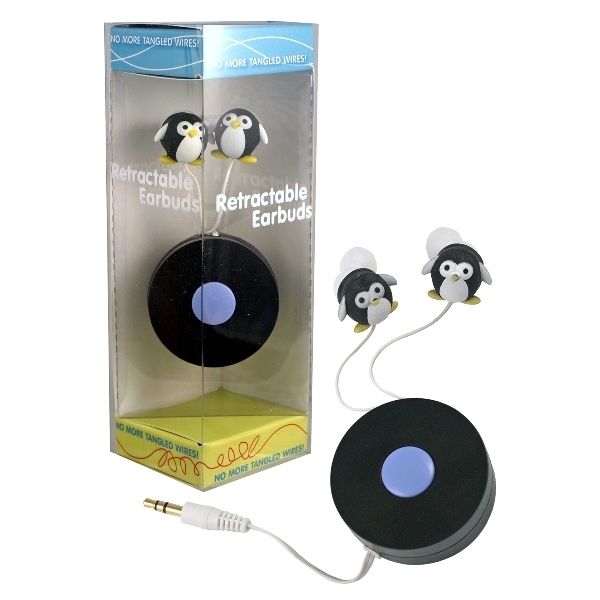 You can pull out just what you need to reach your ears and when you are done, you just push the button and the headphones retract back into the wheel. We go through alot of earbuds in our house, what with the ipods, computers, and all of the gaming equipment. We go through a lot because the cords are always getting knotted or tangled up. That's not going to happen anymore with the retractable earbuds from Karma Kiss! The sound is great, the pods fit snuggly in the ear and the jack fits most MP3, PDA, portable gaming systems, laptops and it fits my Kindle! Talk about listening to audio books - Yes! I love mine so much and so do the kids, that now I'm purchasing more for their stockings. Holiday Giveaway Approved! 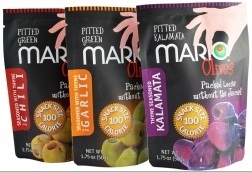 I've recently reviewed these amazing Mario Snack Olives and they are the best olives I've had! PRIZE - Karma Kiss Penguin Retractable Ear Buds and One CASE of Mario Snack Olives! That's a $60 Value to one winner! *After the Rafflecopter is the linky to hop to the next amazing giveaway! Disclosure- I received product in exchange for my honest review. Minding Spot is not responsible for prize fulfillment. Please allow 4-6 weeks for fulfillment from sponsors. I love the ice cream tea lights! So adorable! I love the Dynamo Rechargeable Animal Flashlights. The Black and White Cow. Adorable. Fun website with lots of cute items! The cupcake lip glosses are adorable! I like the Animal Noggins Key Keepers! The black swan watering can looks amazing! I really like their Animal Noggins Key Keepers! Thanks so much for the fantastic giveaway and happy holidays! I like the Bamboo Brainteaser Puzzles. What a fun website. I really like the Personalize It - Baby Prints On Canvas. I'd like the Strawberry Birdhouse! I like the GUARDIAN HOLD ALL OWL HOLDER. It's really cute, my daughter would love that. The Color Wheel Umbrella is so lovely! I love the mouse USB hub. Too cute for words, and useful too. I love the Cow Watch! I like the groovy owl notebook. The color wheel umbrella is really cute!! The Cat Talking Alarm Clock is cute! I love the Grow It! Lavender. I like the Signature Twelve Watch Black.